Monday August 27th, 2018 marked Minneapolis Public School’s first day of school. 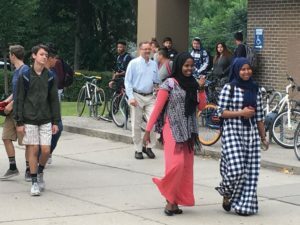 Every year the South Minneapolis community welcomes South High students on the first day of school. 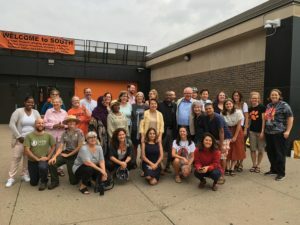 Here are some of the neighbors, business owners, community leaders, religious leaders, artists, nonprofit leaders, South HS alums and parents who came together to give high fives and smiles to let the students know that our community cares about them and their education at 7:30 am that day. This show of support adds the energy of the Community at large to our Community’s future leaders!